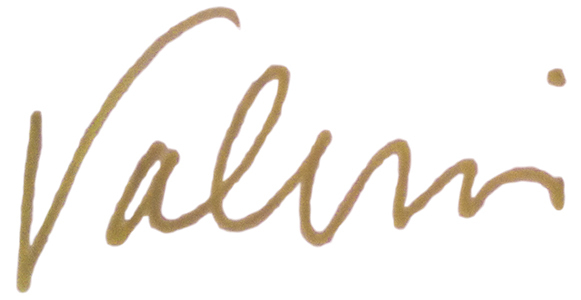 As you may know, or have heard me say many times, the best part of what I do is making sure my clients are happy. The clearest affirmation of this is when clients come back to ask me to do second and sometimes third projects for them. Well, in this case, my littlest clients are back for a second time and they are only 8 years old!!! So much fun. 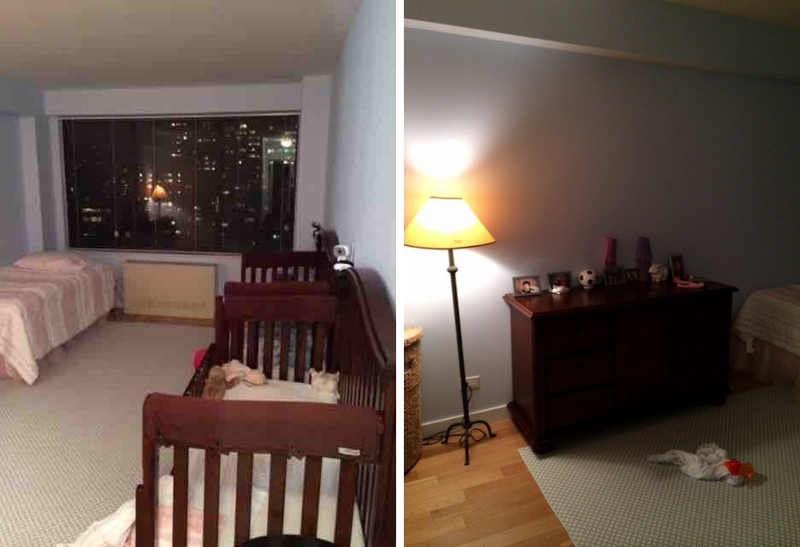 About 5 years ago, I was hired by a couple living in NYC who had 3 year old boy/girl twins. 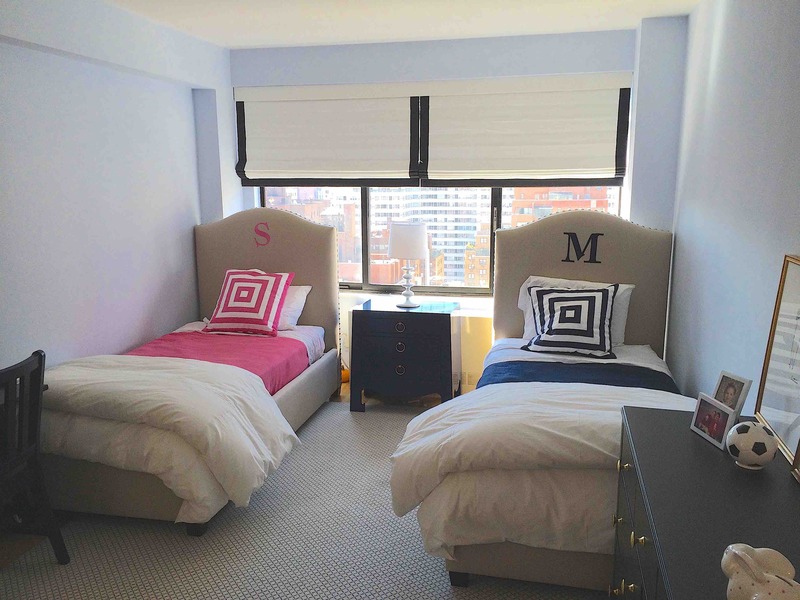 I worked with the parents to take the kids from their cribs to their very own beds in a shared room while trying to make the room feel personal for each child. 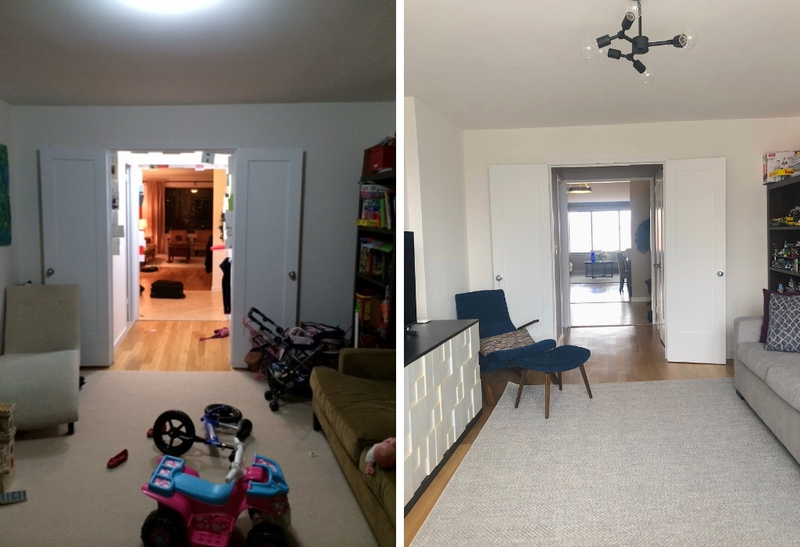 Below are some photos of the before and afters of this twinning space. 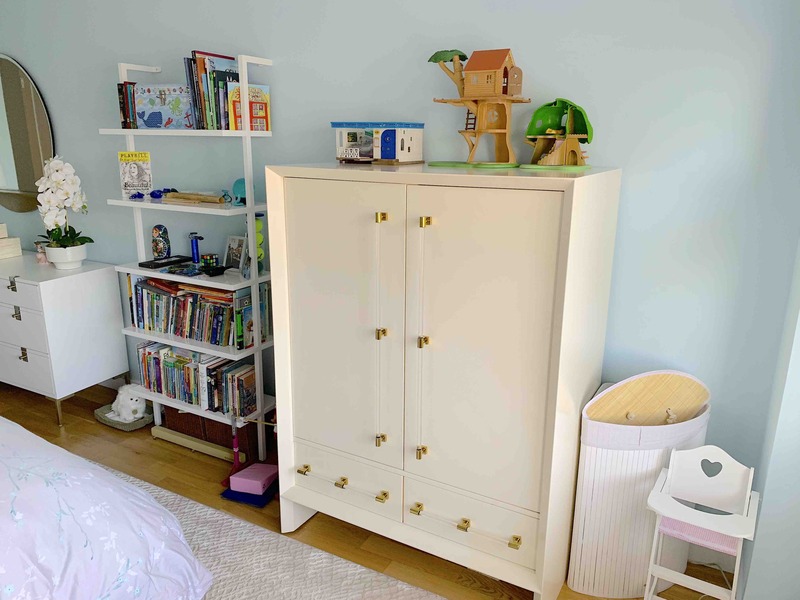 Very fast forward to this year and at 8 years old, the twins have developed their own personalities, passions and need for a room of their own. 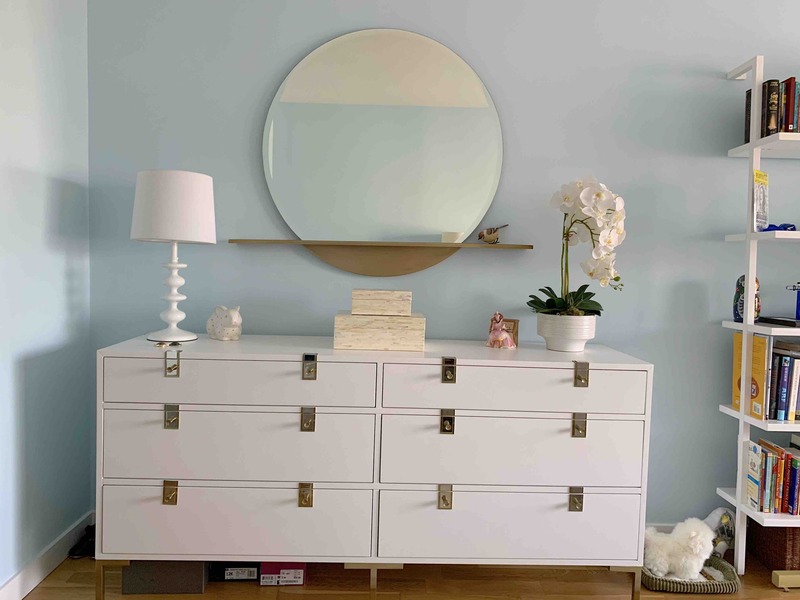 Like I do with all my projects, the first step in the design process is to interview the clients. 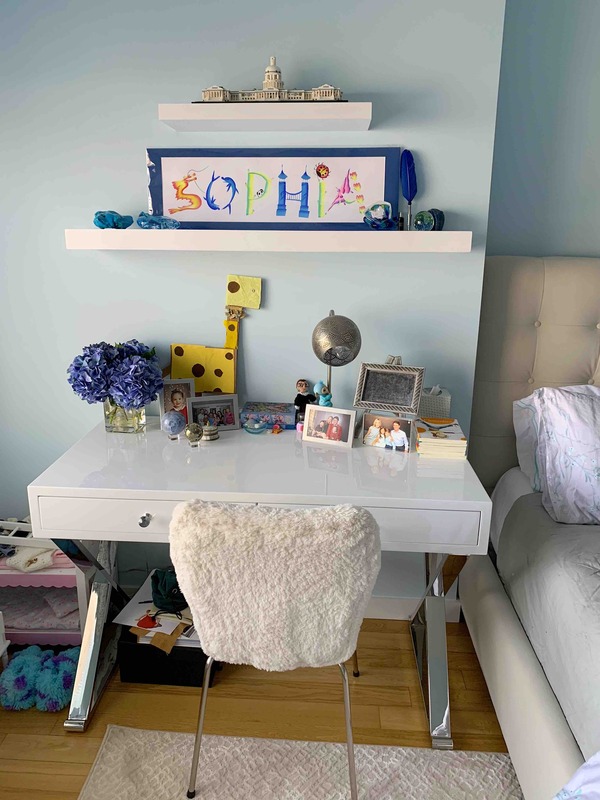 So, I sat down with each of what I like to call my littlest clients to find out their wish lists for their very own rooms. 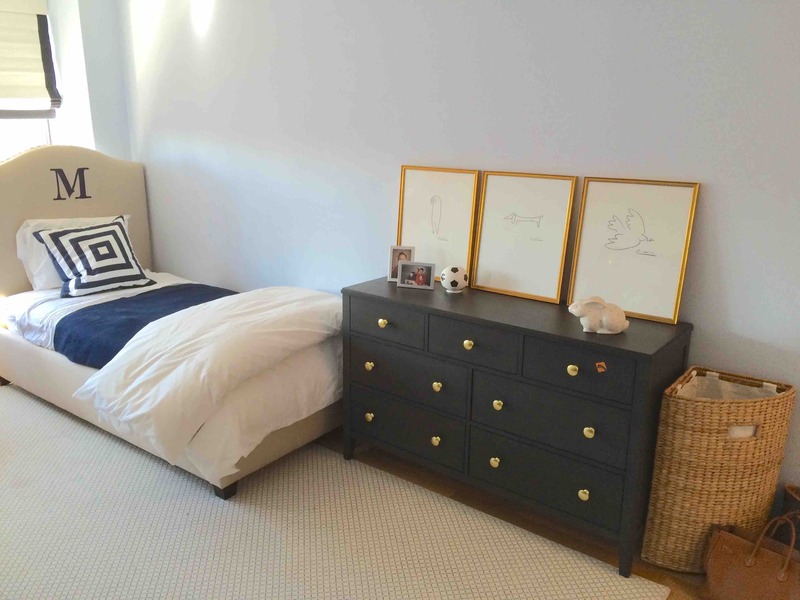 I was very impressed with how specific each sibling was about their space! 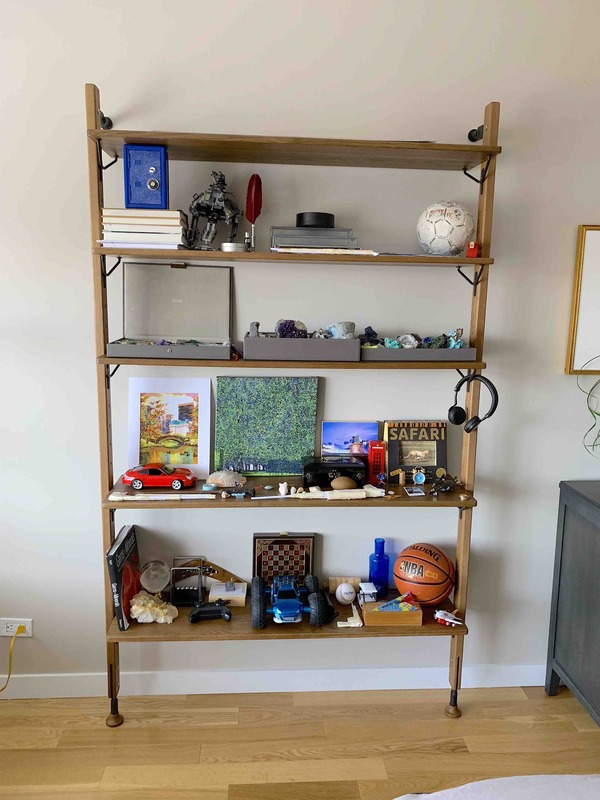 For the boys room – his wish list: shelves to display his petrology collection (that’s a rock collection – I know because I looked it up :)); a desk for his homework (ugh they are only 8!) 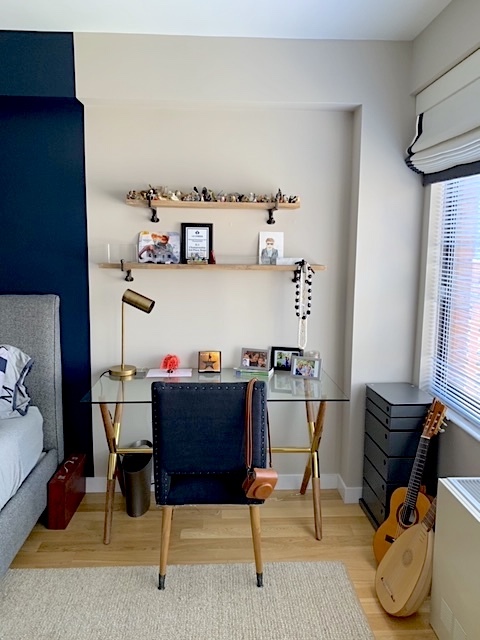 with shelves above for his assortment of animal figurines; a place for his guitars; themes that reflect his interests in sports, music, animals and rocks; and, a reading chair and ottoman so his sister will have a place to sit when she comes to hang out with him and they read together! 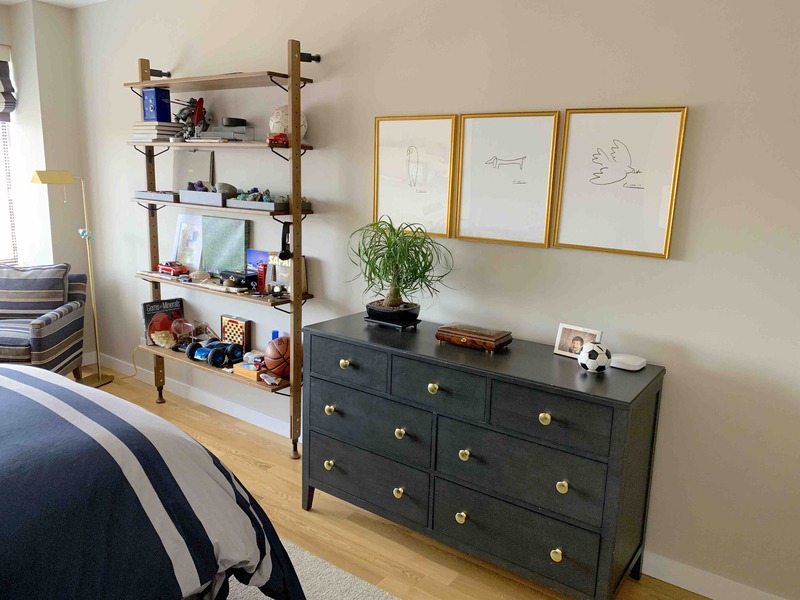 Honestly, I sometimes wish my adult clients could be as specific 🙂 Take a look at the video which shows a tour of his room and focuses in on how we incorporated his interests into the decor of his personalized space. In the girl’s new room, her list was more general and a little shorter. 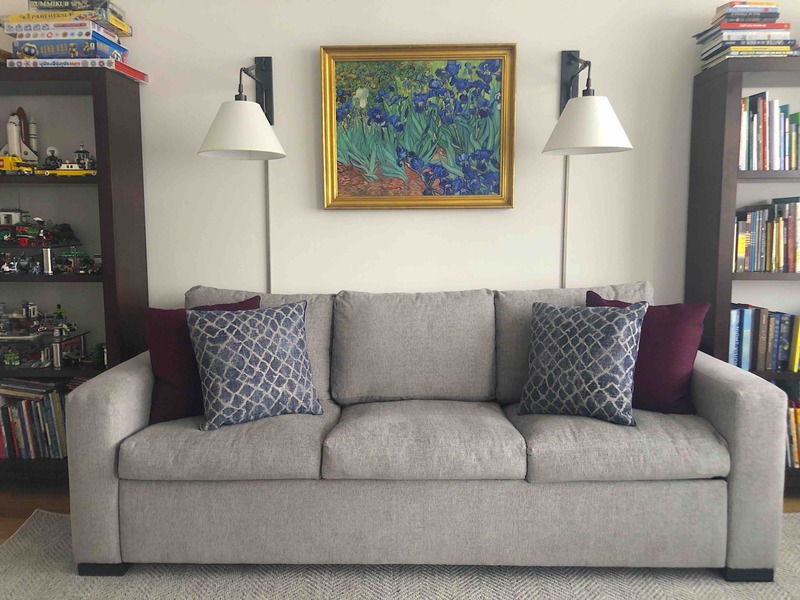 The overall aesthetic she was looking for was for comfort and luxury (a girl after my own heart). 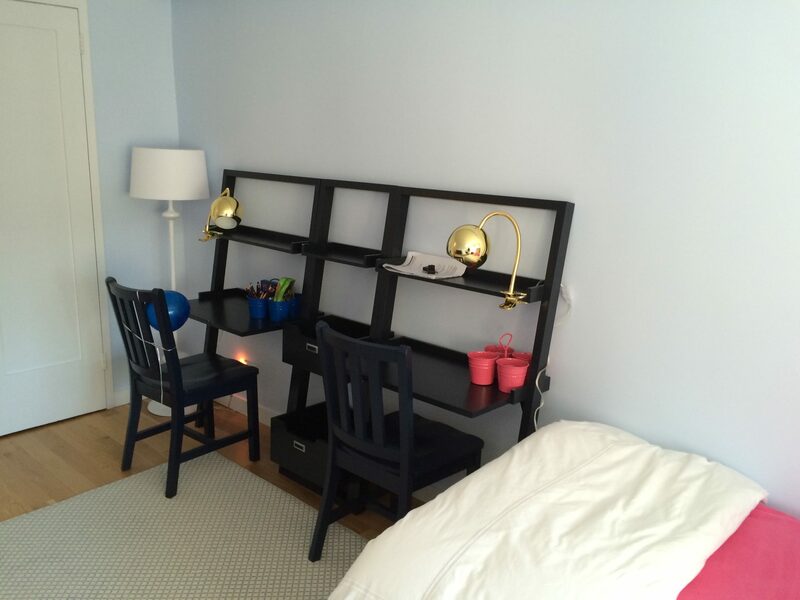 Her wish list: a place for her book collection; a new home for her dolls; a lounge chair for her friends (I hope for her brother too) to hang out; a desk area to do homework (again, only 8! ); and, a layered sheepskin rug that’s soft and delicious. 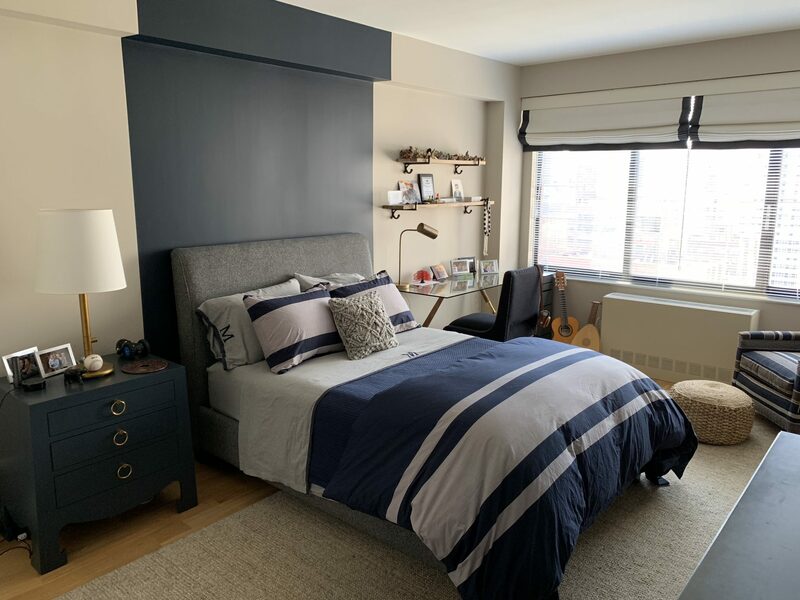 Check out the video of how we packed this extensive list into a New York City sized bedroom and created a distinct environment for this twin to branch out on her own. 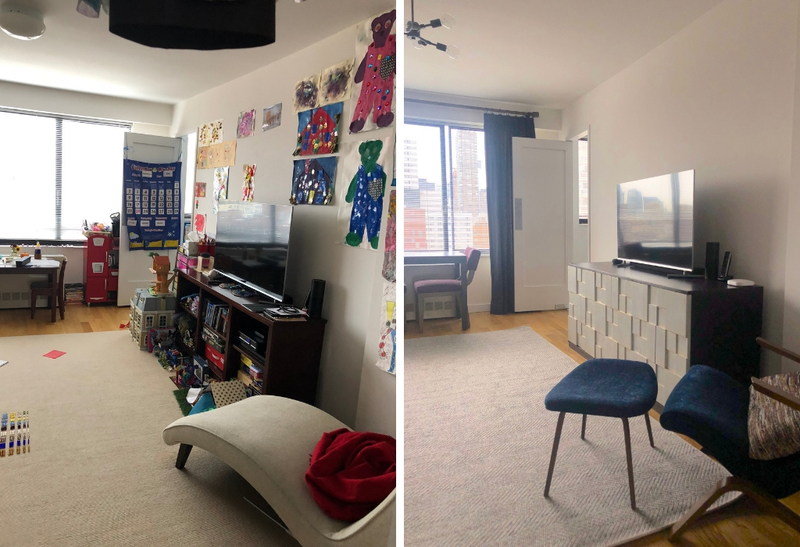 Living in a New York City apartment with two young children means that your living space tends to take on many functions: playground, art room, game zone, playdate gathering spot, etc.. which means that it is chock full of stuff. 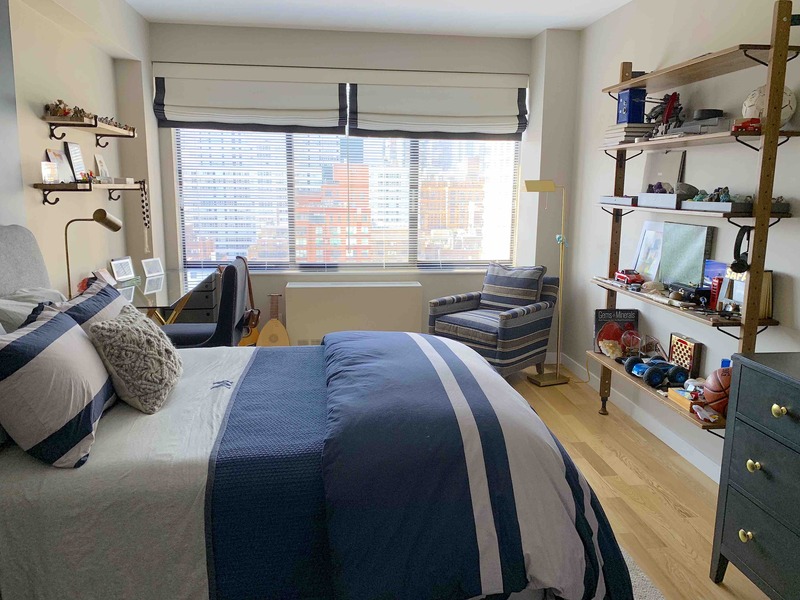 Since there is no basement to hide all of these not so pretty things from the main living areas, it was important to also change up the family room in this apartment as the twins have matured and moved beyond the ride on toys to more sedate endeavors :). Parting with these vestiges of young childhood is certainly bittersweet. 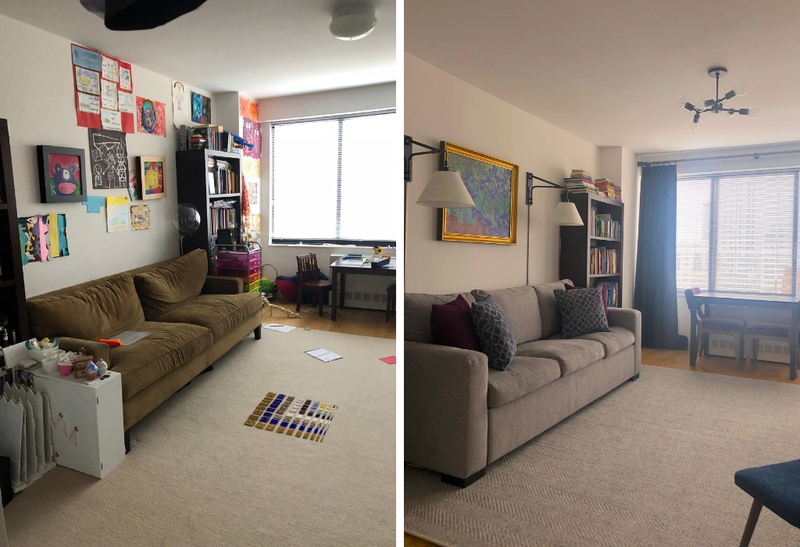 Updating the decor of the family room, we neatened up the space, kept an area to store age appropriate toys and made the space attractive and family/kid friendly. Just thinking that in 5 years these kids will be 13 and may need a refresh. I hope to be back seeing how they have grown and further developed their very specific personalities. 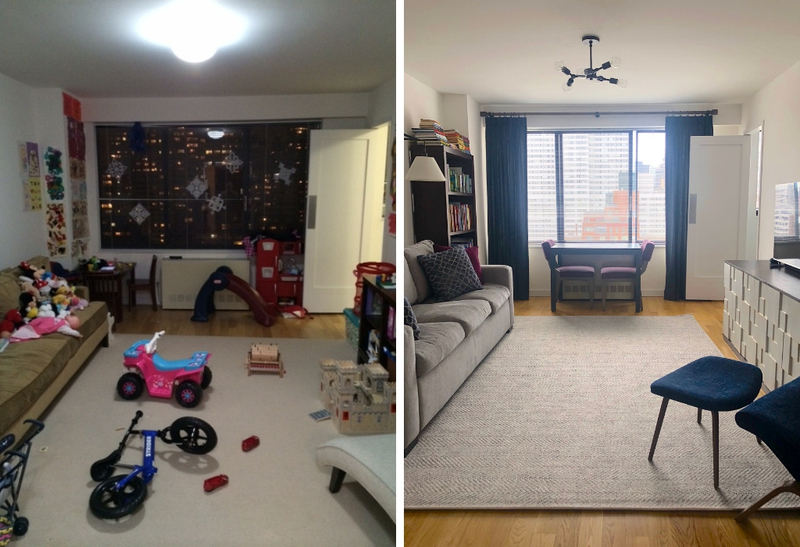 Keep a close eye on your kids, time flies and before we know it – they will have their very own apartments :(.